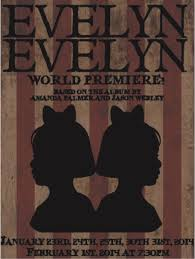 Evelyn Evelyn, the latest show playing at North Springs, shocks audiences with daring directorial choices by senior Henry Ballard, a 4-year participant in NSCHS’ theatre department. North Springs’ theatre department is renowned for challenging what is commonly expected from high school theatre productions, and Evelyn Evelyn did not disappoint. The loyalty of the cast members was also tested as this year’s crippling snow storm forced two of the last three performances of the show to be cancelled. Despite the hazardous weather, the cast and crew continued with their last show on Saturday, with one of their largest turnouts of the shows’ duration.